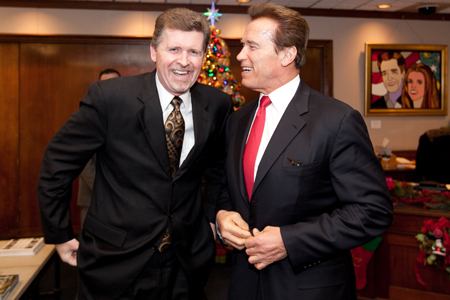 Waiting to interview the Governator in Sacramento (his only longform radio interview during his last days in office), December 2010. 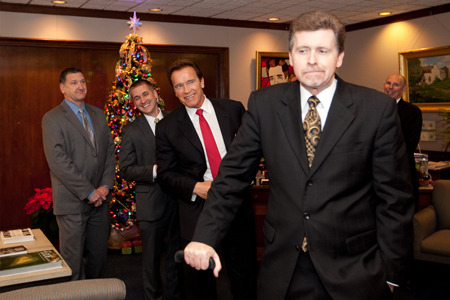 Deep in thought about Q&A, Arnold and staffers slipped in behind ...unknown to Larson... where they posed for a few moments before ML figured it out (the surprise photo was the tip off). Despite many differences on issues, the friendship endures.